If you have recently arrived in Canada, you are most likely experiencing a number of changes. The following resources are here to help you adapt to living in Canada. Service Canada - Welcome to Canada provides information on citizenship, permanent residency, travel documents, and work permits. Citizenship and Immigration Canada offers assistance during arrival to Canada by providing protection to refugees, and programs to help with settlement. Canadian Newcomer Magazine provides how to information for new immigrants through articles about employment, housing, Canadian lifestyles, health, finances, ethnic media and education. 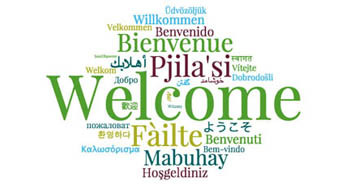 Newcomers Canada wishes to improve the job readiness, settlement and integration of immigrants through connecting employers, governments, and education providers. *Under 'Connecting' you can find information about a variety of community connections based on the area of the world you lived before.